For those more interested in the way their car looks or goes around corners than how fast it accelerates, Mercedes-Benz has announced an AMG sports package that will be optional with any powerplant available for the new 2010 E-Class hitting European showrooms in March. Exact pricing depends on the engine chosen and will start at around 3,000 Euros (around $3900 USD). For that sum, the buyer gets a unique set of aprons along with side skirts and 18-inch AMG alloy wheels. We definitely prefer this sportier look to the more stately standard kit. Inside, a set of microfiber and faux-leather seats for your bum join a three-spoke leather-wrapped steering wheel with shift paddles for your hands and aluminum pedals for your Piloti-clad feet. Performance-oriented bits include a suspension drop of 15 millimeters along with perforated brake discs with silver-painted calipers up front. Sample the high-res gallery below and then check out the full press release after the break. 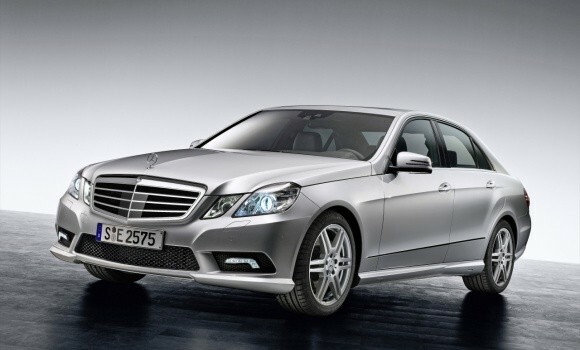 2010 Mercedes-Benz E-Class gets AMG sports package originally appeared on Autoblog on Wed, 21 Jan 2009 19:30:00 EST. Please see our terms for use of feeds.